If you have ever had the pleasure of tasting kernels of sweet, crisp corn grown in the New Territories, or experience the surprising mellow fragrance of a locally grown fig, then you will realise that Hong Kong is capable of far more than, as the joke goes, growing skyscrapers. Our local agriculture may be small, but hardworking farmers are constantly fighting against the tide of mass imports and lack of awareness to further champion the idea that maybe, just maybe, our metropolis can provide a bountiful harvest and cultivate a more sustainable future. 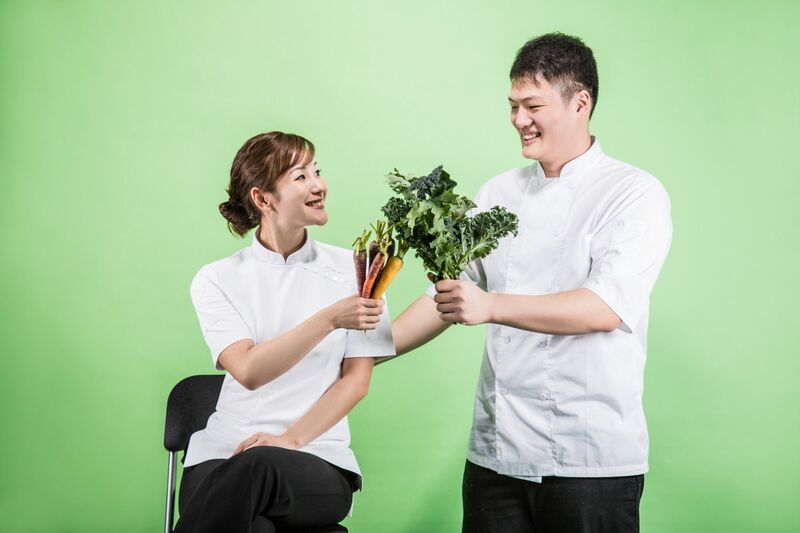 Since 2015, Tong Chong Street Market by Taikoo Place has been bringing Hongkongers closer to local organic farmers, as well as local talents and innovators in the culinary space. As T.Dining Hong Kong aims to champion the best of what our city has to offer, spotlighting tastemakers and trailblazers in F&B and supporting Hong Kong culinary traditions, we decided to pool our efforts with the organisation to further promote this precious link between growers, creators, and consumers. Together with Taikoo Place and Honestly Green, and sponsored by Asia Miles and V-ZUG, we are proud to present two days of celebration focused on our local farms and their produce. We gathered six T.Dining award-winning chefs from our Top 20 Best Restaurants list, who will each be playing with local produce to create unique and exclusive dishes to be served at the market on February 10 and 17. With the assistance of local farming advocate David Leung of Hong Kong Farmer’s Pride Ltd, these chefs have sourced the majority of their ingredients from seven local organic farms and suppliers. On the evening of February 17, the final day of Tong Chong Street Market’s autumn and winter season of operations, five of the chefs will be joined by Chinese master chef Jacky Chan of The Refinery to cook at The Great Farm Feast, sponsored by Asia Miles and V-ZUG. The private dining event for Asia Miles members will take place in an unusual location: the glass-walled link bridge between Lincoln House and Dorset House, overlooking Tong Chong Street Market. If you are an Asia Miles member, you have the chance to purchase access to this one-night dinner—just tap the button below. What: The Final Table star and chef-owner of modern European restaurant Arcane will be giving market-goers a sneak preview of his latest restaurant concept: Cornerstone. The modern Australian bistro is a more casual sister to his fine dining venue, and Osborn’s food truck at Tong Chong Street Market will be serving two preview dishes: salt-baked local beetroot with ras el hangout sour cream and toasted sunflower seeds, and a soupe au pistou using seasonal local vegetables. What: The chef behind the beautifully designed Hollywood Road restaurant and Poem patisserie will be showcasing her love for local ingredients such as urban honey, fresh scallops, kumquats and roselle. For the market, she’ll be presenting honey-braised pork brioche with fermented tofu butter; an urban bee honey pound cake; and urban bee honey chocolate bonbon. For the Great Farm Feast, she will create a starter of local pan-fried scallop with kumquat Grenobloise-style sauce, and a yoghurt meringue with lychee sorbet and roselle sauce. What: Our favourite opening last year was Singaporean-born Quek’s humble modern European eatery on Kau U Fong, and we were excited to engage him for this event given his vocal support for Hong Kong farmers. The chef will be cooking at the Great Farm Feast, serving two savoury dishes: local geoduck with pomelo and celtuce, and a local black pork dish with mountain yam and winter greens. What: Our inaugural Chef Of The Year awardee was the natural choice for an event celebrating local produce, given his passion for Chinese ingredients and food traditions. Cheng will be presenting three food truck dishes on February 17: a salt-and-pepper seafood basket with squid, mantis shrimp, whitebait; waygu beef char siu rice with wasabi, onion confit and quail's egg; and a take on tong chong beng, a nostalgic sweet of rice flour wrapper, sugar and desiccated coconut. On the evening of the 17th, he’ll be playing with local tomatoes, as well as local threadfin fish with Sichuan chilli oil and fermented cabbage. What: The Finnish-born chef caught our attention earlier last year with his refined cooking style and how he incorporated local ingredients such as Kowloon Soy Sauce Company soy sauce and local cauliflower into his menu. For his market offering, Räty will be flexing his pastry chef credentials with a local sweet potato ice cream and seasonal citrus fruit, and a ginger-sesame macaron. For the Great Farm Feast, he’ll be putting a spin on his signature dish of local cauliflower, serving it with squid and XO sauce, as well as offering a dessert of strawberry, shiso and roselle. What: Joining the T.Dining chefs is the formidable Chan, who crafts culinary fireworks in the kitchens of Swire’s private members’ club, The Refinery. His extensive experience working with Chinese cuisine informs his highly accomplished cooking style—for the Great Farm Feast, he will be presenting a dish of local lobster with fresh mango salad dressing and organic garden leaves, and Hangzhou-style deep-fried local black pork fillet. Tong Chong Street Market, Tong Chong Street, Quarry Bay, Hong Kong. 11:00am-5:00pm February 10 & 17, 2019.